Felt the water through his oars. The pure act of rowing. He would read the wooded hills. 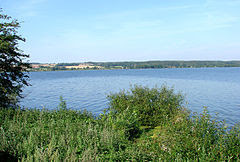 The lake in the opposite direction. Keen Eddie.. how do you like me so far? In 2003, Fox Network here in America showed an action-comedy called Keen Eddie. Thirteen episodes were made but Fox only aired seven of them, while the TV-channel Bravo picked up the show and ran all the episodes in 2004. Watching the show in 2003, I really enjoyed it as there were plenty of funny American-British culture clashes. Yes, most of them were the stereotyped kind, but hey, it is comedy. 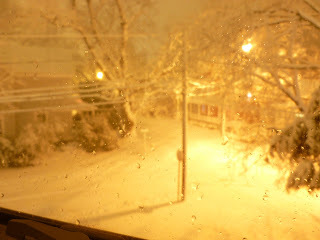 I do not know if it was ever shown in England, I doubt it. The plot in short, Keen Eddie is about the New York police detective Eddie Arlette, played by Mark Valley, who messes up a case in New York and is sent to London to wrap up the case. 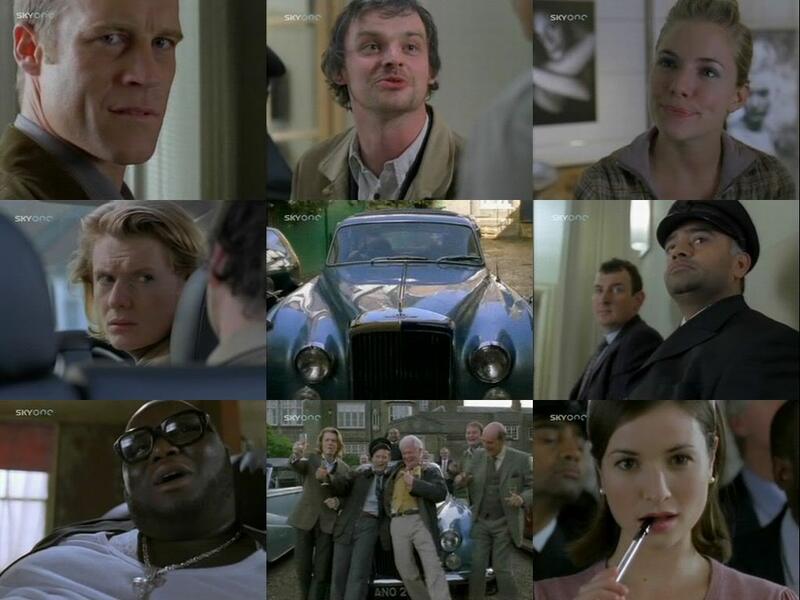 Eddie solves the case with the help of Inspector Monty Pippin (Julian Rhind-Tuut) and somehow manages to impress Superintendent Nathanial Johnson (Colin Salmon) of New Scotland Yard who offers him a job at Scotland Yard. Working in London, Eddie is renting a flat which is also occupied by Fiona Bickerton, played by Sienna Miller. Fiona does not want Eddie to stay in the flat, but he threatens to tell her mother, who owns the flat, that Fiona is not at the university studying, which they believe, instead she is working in a high-end perfume shop. Added to this mix is Eddie’s ill-behaved bull terrier Pete, which Inspector Pippin managed to get out from quarantine by claiming that Pete is a famous police dog. The other day, I wrapped up a book review about Carol Lea Clark’s book Clash of Eagles about an 1848 American Naval expedition mapping the Dead Sea in Palestine. Lieutenant William Francis Lynch led a small crew of fourteen officers, sailors and volunteers from Haifa through the desert with two reassembled metal boats to the Sea of Galilee and then travelled down the River Jordan to reach the Dead Sea, where they then spent time measuring. It was quite a hike. Writing the review, I remembered reading that James Cracknell, Olympic rowing gold medallist, later turned-adventurer, was going to reunite with Ben Fogle for a desert challenge later this year. Cracknell and Fogle, who is another TV-adventurer, rowed across the Atlantic in the beginning of 2006 (49 days, 19 hours and 8 minutes). 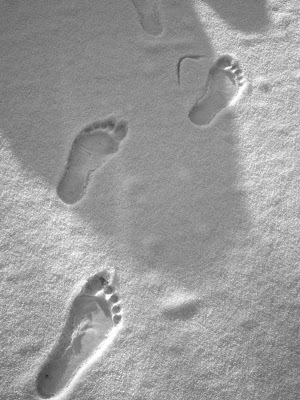 They also went on a 473.6 mile South Pole Race in December 2008. Though, right now I have a hard time finding which desert they are going to trek, I sort of remembered that it was a desert in Oman, but I might be wrong. 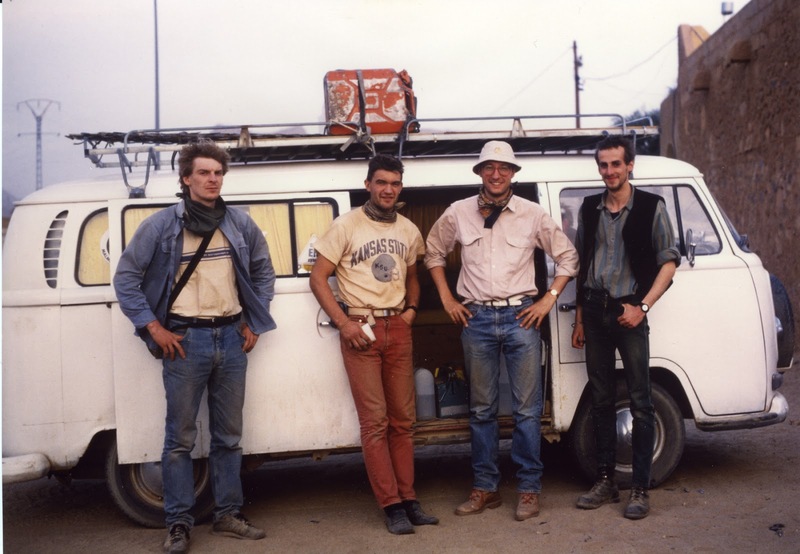 In 1987, my friends Peter Kauranen, Patrik Bååth and I from Malmö Rowing Club decided to take a different ‘vacation’. The trip started on 9 February, 1988, from Malmö down through Europe. We went through a snow storm in the Swiss Alps before we reached Genoa in Italy. From Genoa we took a ferry to Tunis in Tunisia, and then headed south towards the desert. Looking in my diary from the trip, on 24 February, 1988, we drove into the Algerian oasis town of El Golea, then continued south to the Hoggar Mountains and the desert town of Tamanrasset, then further south to the border town of In Guezzam. The first town we came to in Niger was Assamakka, we were lost in the desert for a while and missed the town of Arlit, but managed with some help to take us to Agadez, then to the capital Niamey, down to Benin and the large city Cotonou on the coast of West Africa. Here we stayed at Hotel Babo which was a cheap, run down hotel just across the street to the beach. The hotel was as if it had been taken from a Graham Greene novel. From there we drove to the capital of Togo, Lomé, where we arrived on 31 March. 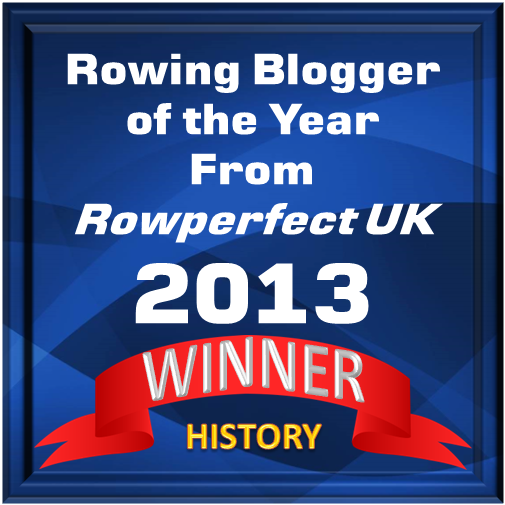 Ahh, well, this is just another non-rowing related story…. Greg Denieffe writes from England: Jack Beresford’s son, John, was the guest speaker at the Christmas Dinner for the boys and members of staff of the Upper Sixth Form of Pemberley House, Bedford School, held on 13 December, 2012. He has kindly given HTBS the following report on his talk with the theme of ‘Inspiration’. After my father Jack, my uncle Eric and my cousin Michael, who were all successful oarsmen, I was the fourth Beresford to board at Pemberley and I last dined here in 1964. The food tonight is excellent (unlike 48 years ago!) and the camaraderie and spirit evident here is a great tribute to you all and particularly to Peter Sherwin and his wife, Roz, who are an inspirational House Master and wife. You boys are lucky! My contact with Bedford School was rekindled by Mr Sherwin when he proposed naming the Pemberley House games room, ‘The Jack Beresford Room’. 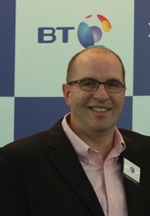 As I was abroad Michael Beresford opened the Room. This was held during the 150th Boat Club Anniversary, which I was sorry to miss, as I had stroked the 1st VIII for two years and been Captain of Boats. Dad was keener on rugby than rowing at school, playing in the 1st XV for three years and as captain. I would like to give you his 1st XV blazer badge, mounted in a shield, to pair with the 1st VIII one I previously gave you. (I then referred to the HTBS blog, which Peter Sherwin has a copy of and which aptly describes Jack’s life at Bedford as ‘The making of a man’. I then read the ballad about the Bedford v Shrewsbury race taken from the blog, which went down well). I want to give you his inscribed 1916 Bedford 1st VIII oar, which is really a return home for it. I also want to give you his 1932 Los Angeles Olympic gold medal winning oar. These Peter Sherwin has told me will make a good pair to be hung in ‘The Jack Beresford Room’. The 1932 Olympic champions: Felix Badcock, Jack Beresford, Jumbo Edwards and Rowland George. Jack is holding the oar that his son John donated to Pemberley House, Bedford School. Photo: River and Rowing Museum. Jack’s rugby career ended in 1918, after he was shot in the leg in the trenches. Part of his recuperation at Fowey was rowing a dinghy round the coast and as his father ‘Berry’ had won silver at the Stockholm Olympics in 1912 in the IV, this set him on the path to five consecutive Olympic medals, three gold and two silvers. I won’t go into his achievements here except to say that he described his 1936 gold in Berlin as ‘the sweetest race he ever rowed’. It wasn’t until Sir Steve Redgrave’s fifth consecutive Olympic Gold medal win in 2000 that I fully appreciated what my father had achieved. I’d simply grown up with his success and there wasn’t the media coverage or interest in those days that there is today. I know from Peter Sherwin that ‘The Jack Beresford Room’ has been a great inspiration to many of his boys. Having been to the 2012 Olympics and Paralympics and witnessing the immense success of these Games, I now fully understand what he said. Do you think the London Olympics and Paralympics can justly be referred to as ‘Inspiring a Generation’? (There was general agreement to this). There were so many inspiring aspects about the Games in addition to the incredible sporting achievements of the athletes. To name a few: the Olympic Park regeneration, the architecture, the on-time completion, the Games-Makers, the transport system and the Opening and Closing ceremonies. This surely showed that Great Britain has the talent and ability to do many things supremely well and to be truly world class. It is boys like you here this evening who will make this happen in the future. I’d like to end by saying that sport, at whatever level you play, is a vital basis for life’s enjoyment, for health and for building confidence. It will always give you friendships through common interests which you are less likely to find through your work. I’m so delighted that my Dad, Jack, has helped to give you some inspiration for your future lives. He was always keen to help younger people. Thank you for creating a Games Room here at Pemberley where he will long be remembered. The Bedford School website also has a short report on the dinner, with the title Olympic Legacy. It also has a 1923 photograph showing Jack in a single in the colours of Thames Rowing Club. The Pemberley House Blog has a photo journal of the Christmas Dinner and you will find a fine photograph of John Beresford (no. 23 and on top of this entry) entertaining the guests. World Rowing Magazine has a bilingual article about Jack in the Fall 2006 edition, simply called Hero of the past: Jack Beresford and in French Un héros du passé: Jack Beresford. There are three nice photographs showing Jack at the Olympics, in a single (1920), in the eight (1928) and in the double (1936). 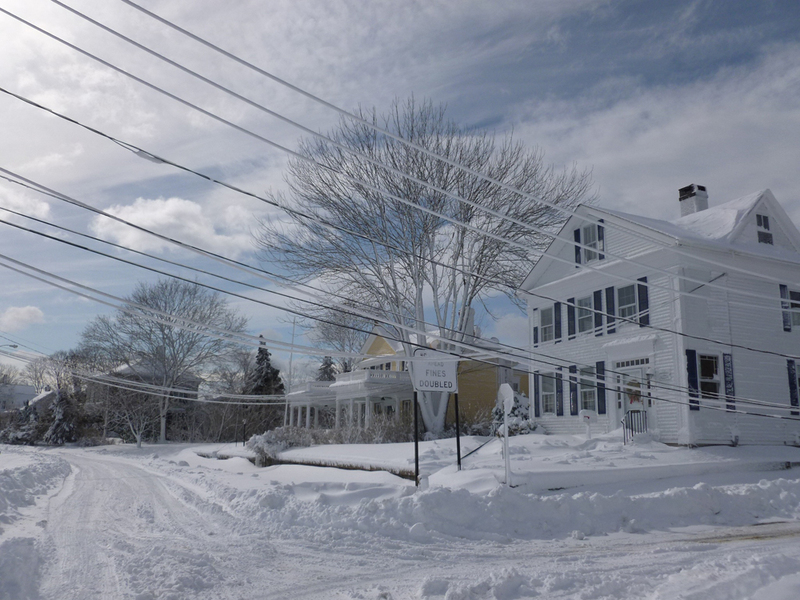 Of course, HTBS would like to show the video because it's just great. But I have to write that I agree with Bob about the terrible music, someday… and I hope very soon, a grownup will add some descent music to this film piece, here. The wound to his psyche. I came to think about my old View-Master the other day, when I received an old stereoscopic photograph, these side-by-side photographs with two perspectives of the same photograph which will give you binocular vision. 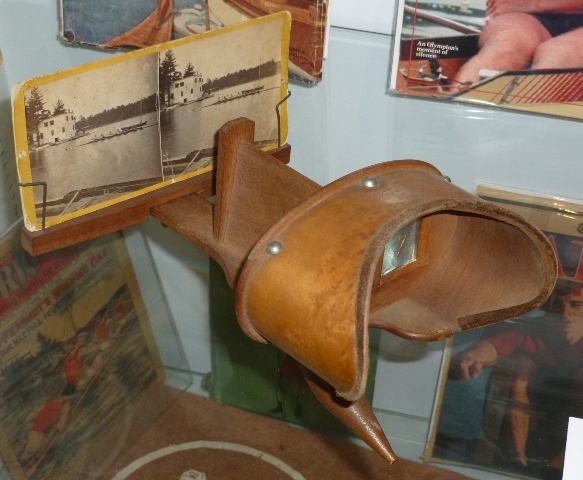 A 'stereoview card' viewer from the rowing exhibit 'Let Her Run' at the Rowing Hall of Fame in Mystic. 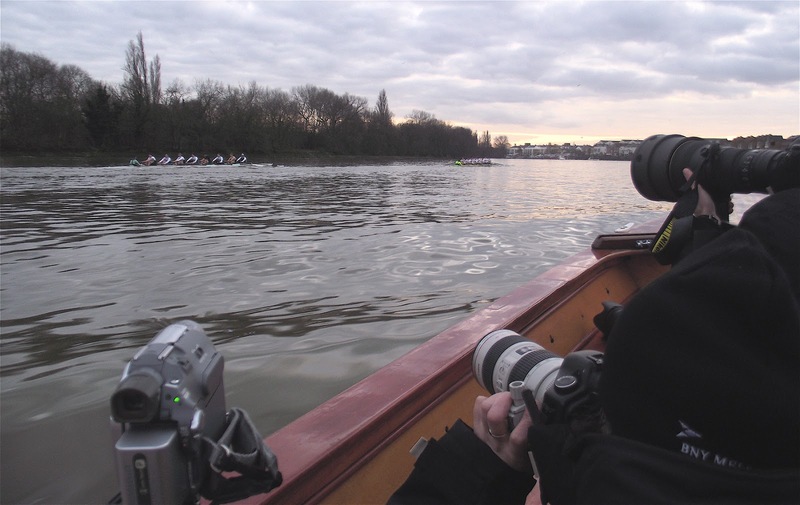 The photograph was from the Henley Royal Regatta showing an eights race (see on top). Unfortunately, it is impossible to see any markings on the oarsmen’s jerseys or oar blades, so I am not sure which crews are racing. 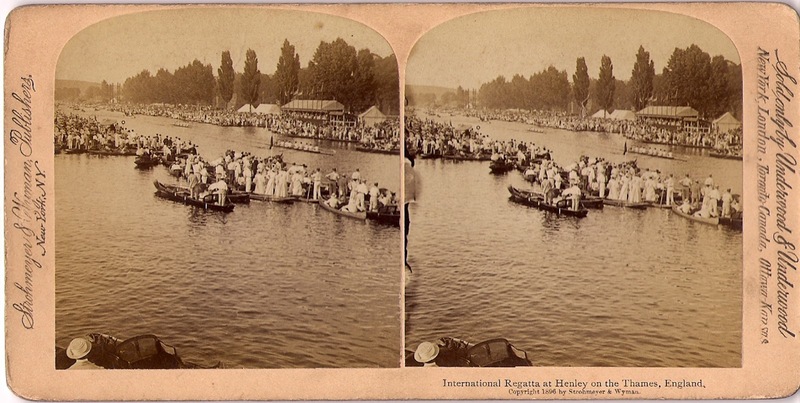 The photograph was published in New York and gives a copyright year of 1896, and says: ‘International Regatta at Henley on the Thames, England’ [sic]. 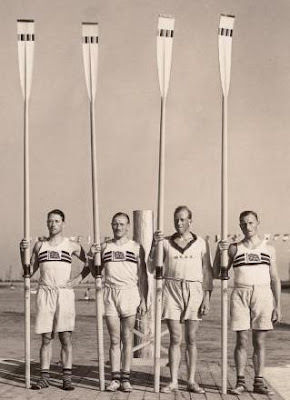 I contacted my fellow rowing historians Peter Mallory, Greg Denieffe and Tim Koch to ask if they dared to give a qualified guess which year and which eights might be racing in the photograph. They and I compared photographs from the regatta in Henley from 1895, 1896 and 1897. Tim made some close-ups of some photographs which clearly showed the difference of the tents, so it is not from 1896 or 1897, nor is it from 1899 when the Henley Stewards had decided to put booms on the course, so it might be from 1895. There is quite a distance between the boats, so at first I thought that it was the ‘international’ race between Cornell and Trinity Hall which met in the semi-final of the Grand, and left poor Cornell a ‘time zone’ behind the Cambridge boat after the Americans fell to pieces half way – but it is not. Two of ‘the Hall’ men had white hats on, and no one is wearing a hat in the winning crew in the picture above. The simple solution, of course, can be that the American company which published the ‘stereoview card’ picked a random photograph of two English crews from Henley and just called it ‘international’. 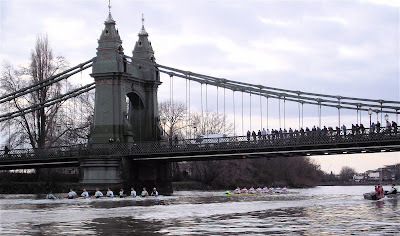 In the eagerly anticipated race between the University of Cambridge and the University of Washington held in two stages over the Putney to Mortlake course on today, 16 February, I was initially sure that honour would be satisfied on both sides for at least two reasons. 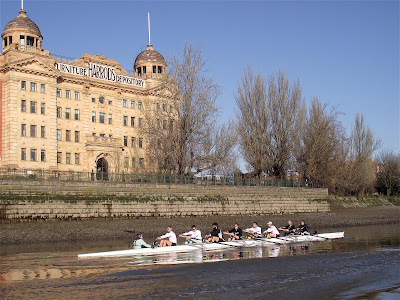 First Race - Passing London Rowing Club. Firstly, the question of national pride was somewhat muddled. 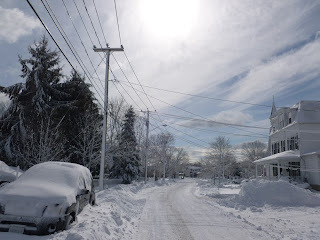 This was not a simple race between nine plucky Brits and equal number of sturdy Yanks. For a start, the Cambridge crew had more Americans rowing in it than did the Washington crew. As far as those pulling an oar goes, the Tabs had a Czech, two Australians, four Americans and a Brit (what was he doing there)? Two of their Americans, Ty Otto and Niles Garratt, rowed at UW. The Huskies had a New Zealander, a Brit, a Canadian, a Serb, an Australian and three Americans. This says a lot about the international nature of top level universities nowadays (though there is a very long tradition of non Brits rowing in Boat Race crews). At the end of Putney Embankment. Secondly, I was sure that it would be a close fought and evenly matched race with either crew having the chance of a close victory. Here I was wrong. Washington were proven to be a far superior crew, even on the strange and unfamiliar waters of the Championship Course. 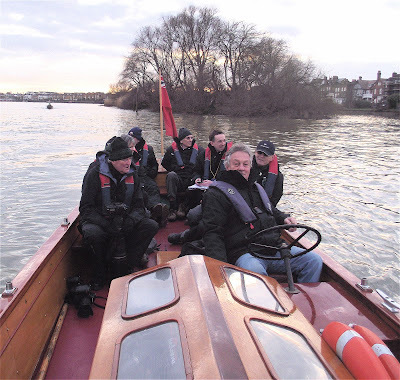 Old Father Thames was very kind to the visitors and the benign conditions (no wind and a slack tide) took much of Cambridge's 'home advantage' away. The Huskie's cox, Lisa Cladwell, steered remarkably well on the strange river and did not seem intimidated by the occasion. She received more than her share of warnings from umpire Matthew Pinsent but I suspect she was simply an experienced steers seeing how far she could push the rules. Officially, U.W. 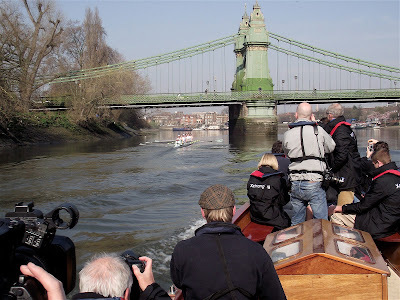 won the first race (from the Boat Race start to Chiswick Steps) by two lengths but there was some confusion over the finish point so it should have been a greater margin of victory. The official verdict for the second race (from the half way point to the finish) was three lengths but it looked further than that to me. Washington were rarely under pressure in either race and almost certainly had more in reserve were it required. Their push from Barnes Bridge to the finish was very impressive. The Boat Race website gives a full race report. I hope my photographs tell the same story though there is almost always a parallax error in these pictures. Good to race under that pressure, good change after 1st piece, work to do but early days, selection not set in stone. Of course, the Boat Race is to decide who is best out of Oxford and Cambridge and probably there is more that one university crew in the world that could beat either. However, I suspect that this fact is of little solace to Cambridge today. 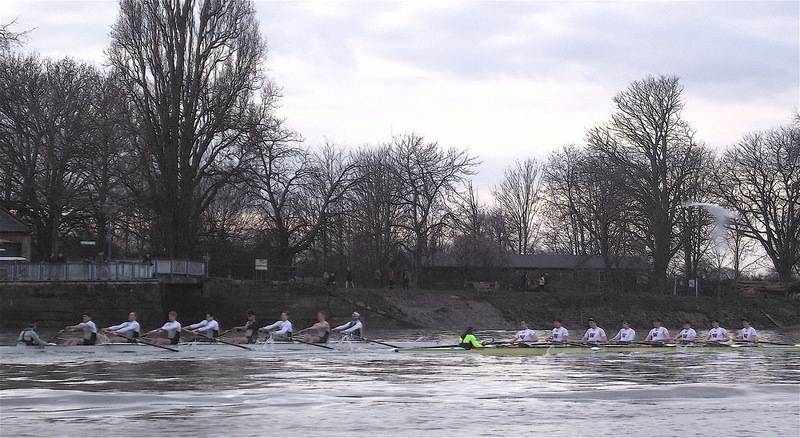 Near the end of the first race at Corney Reach. Approaching Mortlake it looks as if Cambridge could do it. By Barnes Bridge Washington had taken clear water. A big push by UW after Barnes produced an unbeatable lead. When the Chairman of Henley Royal Regatta comes to pull you in, it is a clear sign that you have done well. The Press Boat in 2013. Baseball caps and beanies replace top hats and bowlers. Journalism is clearly no longer a gentleman’s profession. Read what Searle says about the security during the race in the Daily Telegraph, here, and in the Guardian, here. Cambridge viewed from the Press Launch, 2012. The two crews for the Cambridge Blue Boat vs. University of Washington Fixture have been announced, Tim Koch writes from London. 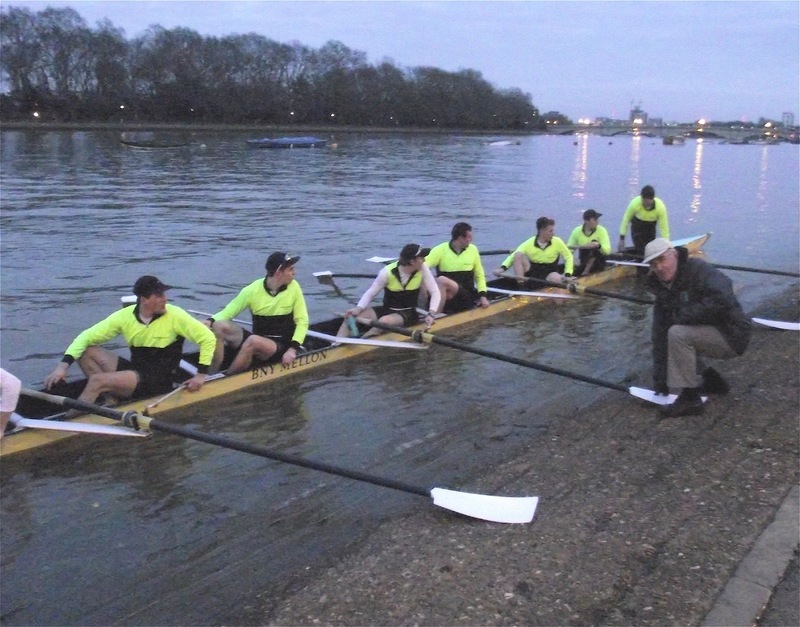 The fixture will start at 16.30 and will be umpired by this year’s Boat Race Umpire, Matthew Pinsent. 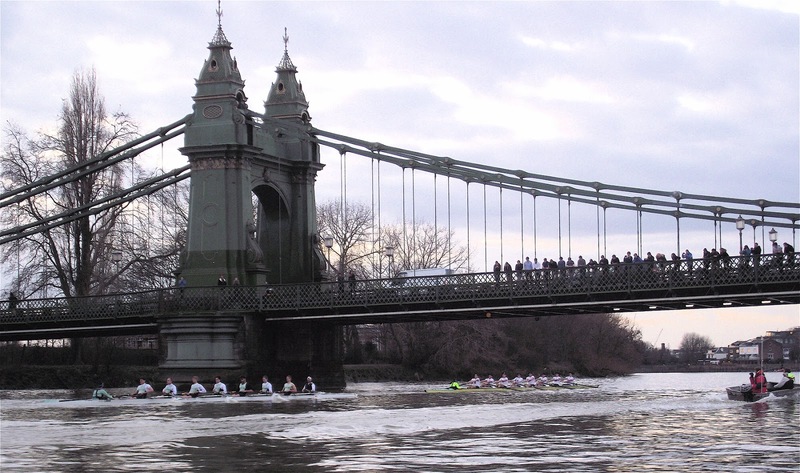 The race report for this fixture will be posted on the official Boat Race website later the same day. (See www.theboatrace.org). Goldie will be competing in a fixture against the University of London at 16.00 – crew lists for both will follow shortly. The Press Launch pursues Cambridge, 2011. The 159th Oxford – Cambridge Boat Race is now less than six weeks away. It is claimed that over seven months the crews will spend two hours training for each of the 600 strokes in the race. Most of this preparation and testing is done in relative privacy but there are a few public appearances before the crews line up in front of 1/4 million on the river bank and 120 million people watching worldwide. Not bad for a ‘private match’. The first public appearance of the potential competitors was for the pre Christmas Trial Eights. For this year’s race, they were held on 13 December, 2012, and the HTBS report is here. The next exposure to public gaze will happen on the ‘Press Days’ on the weekends of 16/17 February and 16/17 March. This is an opportunity for the Blue boats and the reserve crews to race over the course against strong opposition and for the press to see what is probably the final line ups. Cambridge’s Press Day will be on 16 February when CUBC will race the University of Washington (16.30) and Goldie (the reserve crew) will race the University of London (16.10). These races will be followed by a press launch. The following day, Sunday 17, Oxford will race the University of London (12.30) and Isis (the reserve crew) will race a crew yet to be confirmed (12.00). There will be no launch following the Dark Blue races, their turn to be pursued down the course by a boat full of journalists will be a month later, on 17 March, when OUBC will race ‘a German Eight’ (16.00). I hope to find out more about the Germanic opposition soon. 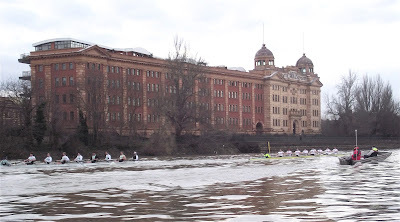 Earlier, Isis will race Tideway Scullers School (15.30). The day before this, CUBC will race Molesey BC (15.45) and Goldie will race London RC (15.15). This will be Cambridge’s turn to be spared the following press pack. We will find out this Saturday. 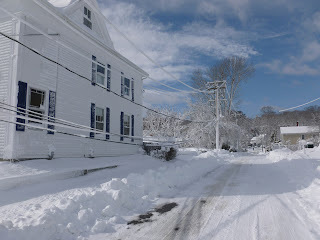 Yes, you have guessed right, dear reader of HTBS, the electricity is now back at the HTBS headquarters and the village of Mystic and other parts of Connecticut. Our part, the southeast corner of the state, was the last one to get the electricity back - though, there might be some lonely pockets left in the state without electricity. 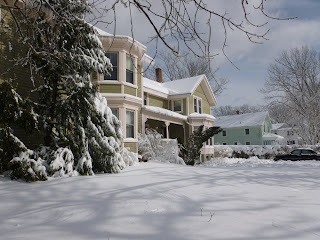 I cannot tell you how nice it feels to have a warm house again, especially as the temperature plunged down to 42 F, or 5.5 C, inside the house! As our fire place is not working, we just had to 'tough it out' as the Yankees here say. Mrs. B. suggested that we should buy a camping stove which I think is a brilliant idea, especially as the good HTBS-arian Greg Denieffe just sent me a nice recipe for a Hot Irish Whiskey, which I would like to share with you all, here. It calls for boiling water, so that is where the camping stove comes in as we have an electric stove in our kitchen. Added to this recipe, Greg writes, is a cinnamon stick - lovely. 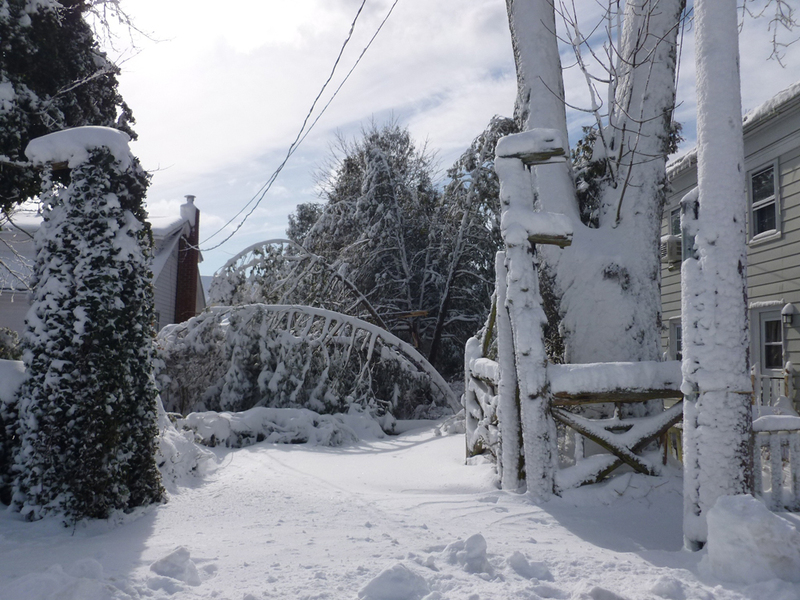 The storm, which has taken down several electricity poles in Mystic, has passed and the work starts to clear off the snow from steps, cars, pavements, etc. Here we are beginning to see our cars again. 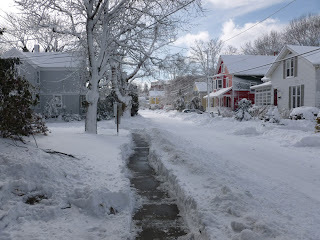 Our neighbours' good son came out with their snow blower to use outside our house, too. 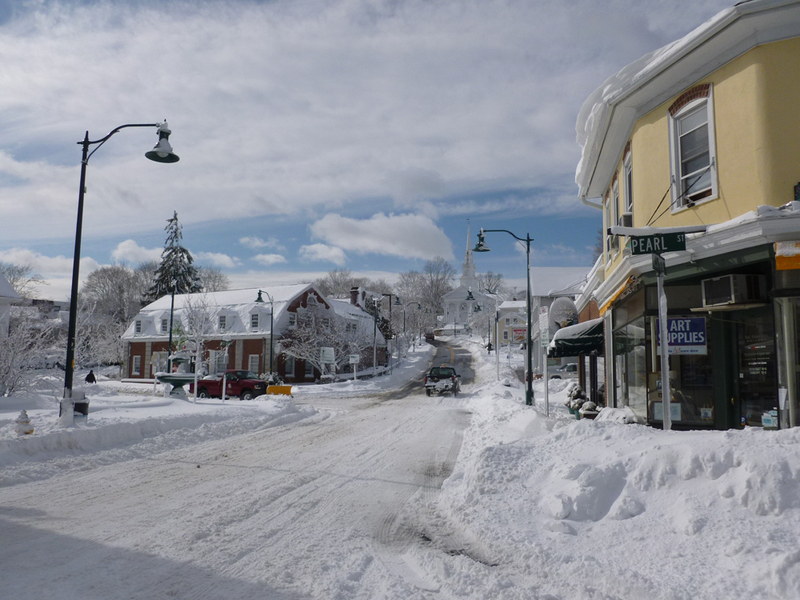 Some surrounding towns around Mystic forbade residents to drive on the streets. 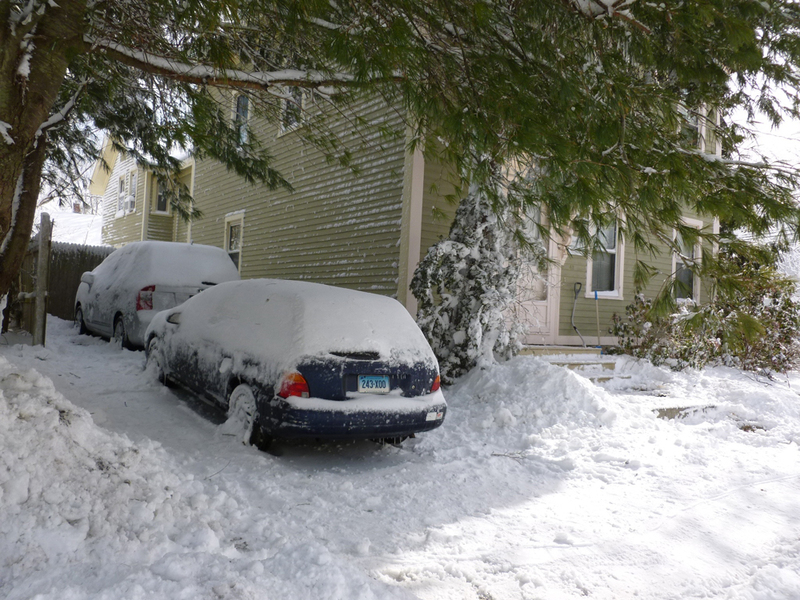 The police handed out some hefty traffic tickets if you were caught out on the roads. Picturesque picture of the HTBS headquarters. Down the street from where we live. 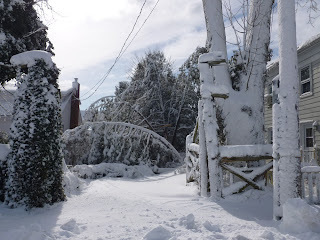 Look at those electricity cables hanging low! 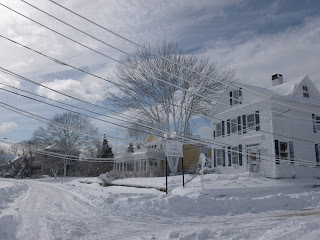 Heavy ice on the electricity cables makes them hang dangerously low. 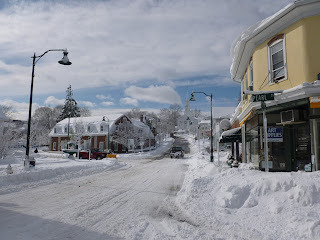 The snow plows have done one round on Main Street in Downtown Mystic, but that was not enough to drive safely. Poor job! Looking the other way down Main Street, towards east. On 9 January, HTBS's Greg Denieffe wrote about an interesting painting of Edward Hawks that was up for auction at Bonhams in London. At the auction it was not revealed who the buyer was, but in a press release the River & Rowing Museum writes that it was the lucky 'winner'. The HTBS team is delighted the RRM was the museum that managed to buy it as it means that it will be on display for everyone to see. Here follows the press release which offers the story about this iconic painting, which will soon be on permanent display at the award-winning River & Rowing Museum, Henley-on-Thames. The portrait joins other rowing memorabilia of national importance, including the Coxless Four rowed to victory by Steve Redgrave and Matthew Pinsent at the 2000 Sydney Games, and the boat from the first Oxford-Cambridge Boat Race in 1829, which took place in Henley-on-Thames. 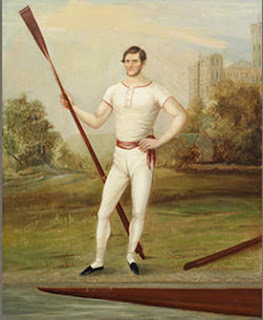 The River & Rowing Museum in Henley-on-Thames acquired an iconic 19th-century portrait of the oarsman Edward Hawks in The Gentleman’s Library sale at Bonhams, Knightsbridge. The lot, which sold for £8,000, gained widespread media attention and a great deal of interest under the hammer because of its subject’s association with Henry ('Harry') Clasper, known for revolutionising the sport of rowing. Hawks, who is illustrated in the painting in front of Durham Cathedral, was a member of the 1845 Newcastle rowing crew, captained by Henry Clasper, Hawks’s relative, that gained notoriety by winning the ‘Champion of the World’ against prize the top Thames crew at the Thames Regatta. Henry Clasper was responsible for revolutionising the art of rowing when it was one of the most popular sports in Britain through his pioneering boat and oar designs. Among other developments he created the ‘Newcastle Oar’, which had a curved blade to create a winning advantage. From initiating his rowing career as a keel man (rowing coal barges), Clasper’s inventive designs eventually led his crew to dominate the waters of Newcastle as champions. The painting, bought from museum funding in an exciting auction, will be on public display as part of the Museum’s permanent collection in The Schwarzenbach International Rowing Gallery from the end of February. The piece adds more depth to the museum’s extensive collection of items that relate to the history of professional rowing. The acquisition of the work was funded in equal measure by a legacy from Mr David Lunn-Rockliffe, one of the Museum’s founders and a past Chairman of Trustees, and matched by a grant from the V&A Purchase Fund. We are delighted to have been able to acquire such a significant painting which has already generated such interest in both the rowing world and the national press. It will be the centrepiece of display about professional rowing which was so rooted in the North East of England but which had a truly international dimension. It is a great story that deserves to be told! We are hugely grateful to the V&A Purchase Fund for their support. We also feel that this acquisition is a fitting tribute to David Lunn-Rockliffe whose legacy contributed to the purchase. His ambition for the Museum was always that it should be an international focus for rowing history and a significant centre for the visual arts. There was an electric atmosphere in the saleroom and a good deal of interest in this painting. The portrait transports the viewer to a time when rowing was the major sport of the North East and figures like Edward Hawks made the Tyne famous for its innovative boat design and strong crews. With the fame and success of the crew that Edward Hawks was part of and the rarity of portraits of this type, it is no surprise that there was so much interest from private collectors and museums. I’m sure this will make a superb addition to the collection at the River & Rowing Museum. The full-length portrait of Hawks in distinctive rowing strip holding a scull in his right hand is inscribed ‘Edward Hawks aged 46 years’. The picture, attributed to the English School, 19th century, depicts Durham Cathedral in the background. The rarity of this painting is to have a portrait of a professional oarsman – most pictures of pro rowing from this era are regatta scenes. 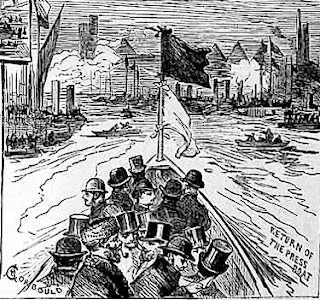 ‘Ned’ Hawks was a member of the Newcastle coxed four otherwise made up of four Clasper brothers who defeated the Thames watermen at the Thames regatta in Putney in 1845 to become champions of the world. Hawks, whose niece Susannah was married to Harry Clasper, was a late replacement in the crew for another Clasper brother who was drowned in an accident. Clasper began his working life as a pitman in Jarrow, but became a publican who designed and built racing boats. The Lord Ravenscroft used by the Tyne crew in the Thames regatta was a sleek Clasper boat, and Clasper became a dominant name among several Tyneside builders who experimented with hull shapes, outriggers and oars to move boats faster. Harry’s son, John Hawks Clasper, eventually moved the Clasper boat building business to Putney. 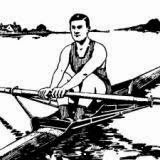 Hawks had a distinguished rowing career… but his life ended in tragedy when he hanged himself after running into financial problems. 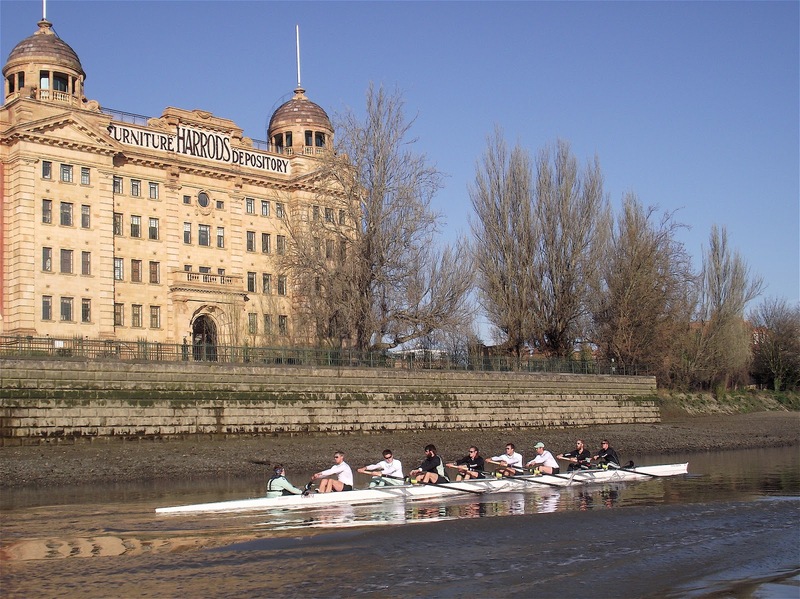 For more information about the River & Rowing Museum, go here and for Bonhams, go here. Until 7.12 p.m. (UK time) on 10 February, a little piece of rowing history is up for auction on eBay. 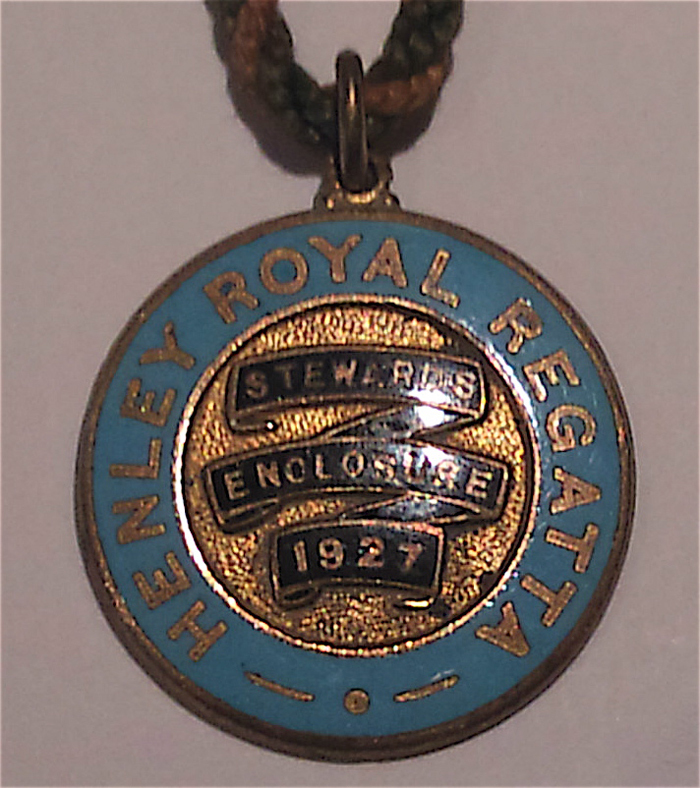 It is one of the 550 enamel badges issued to members of the Stewards' Enclosure at Henley Royal Regatta in 1927. A word of warning - at the time of writing there are three days to go and six bidders have got the price up to £720/$1,130. There is a small band of collectors for these things and they all seem to have deep pockets. The seller is Chris Lenton of Marlow Rowing Club who tells me that he is thinking of setting up a website about Stewards' Badges. He is well qualified to do this as he now has a complete set, something I suspect may be unique outside of the group owned by the Royal Regatta itself. On 14th February Chris will be listing one of the 1924 badges. They were the first enamel ones issued and only 350 were produced. I wrote about Stewards' on HTBS two years ago. Sir Harcourt Gilby Gold is usually credited with the establishment of the Enclosure in 1919. This controversial act gave the Regatta a regular and predictable income and was, I suggest, a very far sighted move. In 1919 there were many people who had not yet realised that, following the 1914-1918 War, the world had changed forever and that the days of easy money for the social elite were over. Without the income from Stewards' Enclosure, Henley would have slowly withered and perhaps be finally killed off by the 1939-1945 War. In the 1970s the future of Henley was again put in doubt when, for many years, the membership fees were not increased in line with the rampant monetary inflation of the time. The work of Peter Coni (Chairman, 1977-1993) and Richard Goddard (Secretary, 1975-2007) changed all of this and put the Regatta on the firm financial footing it is on today. The Stewards’ Badges stay the same shape for ten years – only the colours change. The Stewards' Enclosure is open to members (elected by the Committee of Management of the Regatta) and their guests. It came into being in 1919 with a membership of 300. This grew to 704 in 1939 and 1,500 in 1956. In 1980 the Stewards set a ceiling of 5,000. 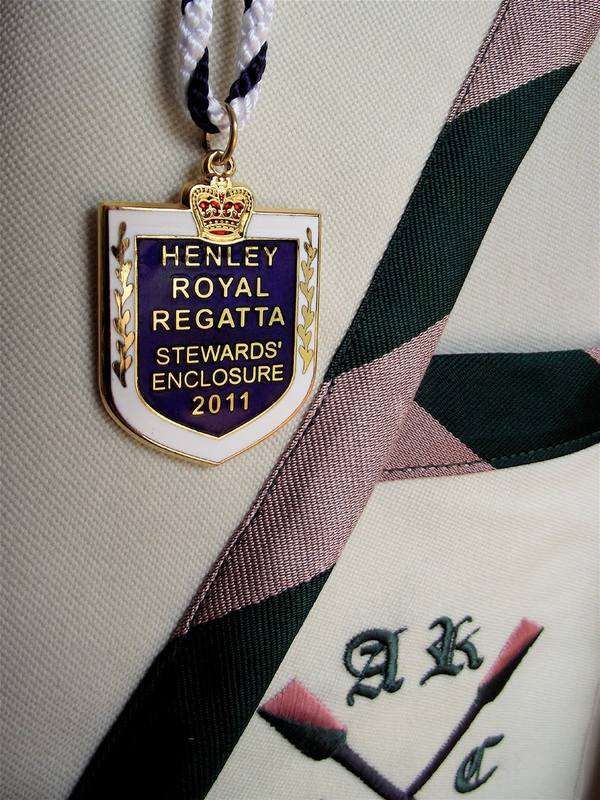 The waiting list for membership of the Stewards Enclosure is now several years long, although preference is given to people who have previously competed at the regatta. The waiting list has grown rapidly since the 1970s, when membership could be applied for and granted on the same day. 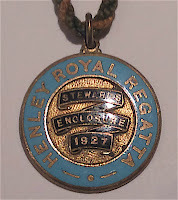 From 1919 to 1923 cardboard badges were issued and from 1924 enamel badges were issued each year with the exception of the war years 1915 to 1918 and 1940 to 1945 when the regatta did not take place. Badges from 1924 to 1939 are very rare and from 1946 to 1950 quite rare. I have visited W. O. Lewis the Badge manufacturers earlier this month and have seen the 2013 badges in production. This year's badge is the same style as last year and coloured white and Cambridge blue. Each badge is hand made from creating the die stamp, being cut to shape, the enamelling (I watched two ladies do this), sanding and polishing, numbering to the fitting of the ring and cord. It is very labour intensive but they are works of art. 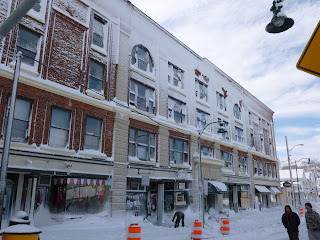 The company has been going since 1832 and I met Philip Lewis (5th generation) who owns and runs the business. It is typical of Henley that they should use a firm like Lewis. Both have been around since the 1830s, both understand tradition and attention to detail and both produce a very fine product. ... but I Like These Best! Here is a funny little clip from a 1932 'School-Kiddies' Henley', some improvised rowing races for boys and girls under the age of 14 from British Pathe. Despite the fun rowing, school children on field trips really only have one thing on their mind - food. Listen to the last comment from the interviewed boy. After a great deal of meticulous design and testing, we are excited to announce the release of the 7echelon Empacher Singles Fin. This game changing fin is now available for sale on our website and comes with a complete customer satisfaction guarantee. 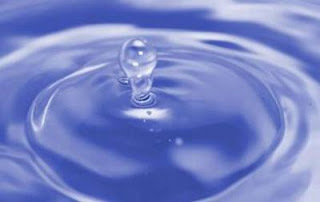 7echelon uses cutting edge technology to reduce water drag to a minimum, while providing great stability. The fin was designed by aerospace engineers, who relied on practical aero-hydrodynamic principles to produce a winning design; the same principles used in the design of high end jets and spacecraft. To add even more credibility to the design, the fin was tested by the 2012 USRowing National single scull winner Matthew Brown. Skeptical? You should be. These are some bold claims. How about this, pick up the fin and try it out for yourself. Take two months if you need to. 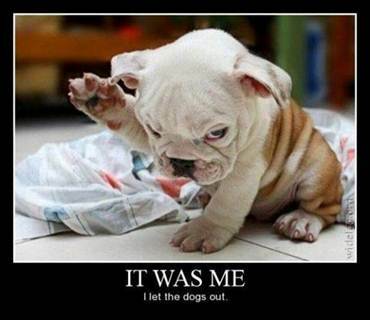 If you don't absolutely love it, send it back for a complete refund. Our goal is to become the world’s number one brand of rowing equipment by delivering the highest quality of professional grade, cutting edge, high performance products. Instead of opinion, we use data to drive the design of our products; that’s unique. 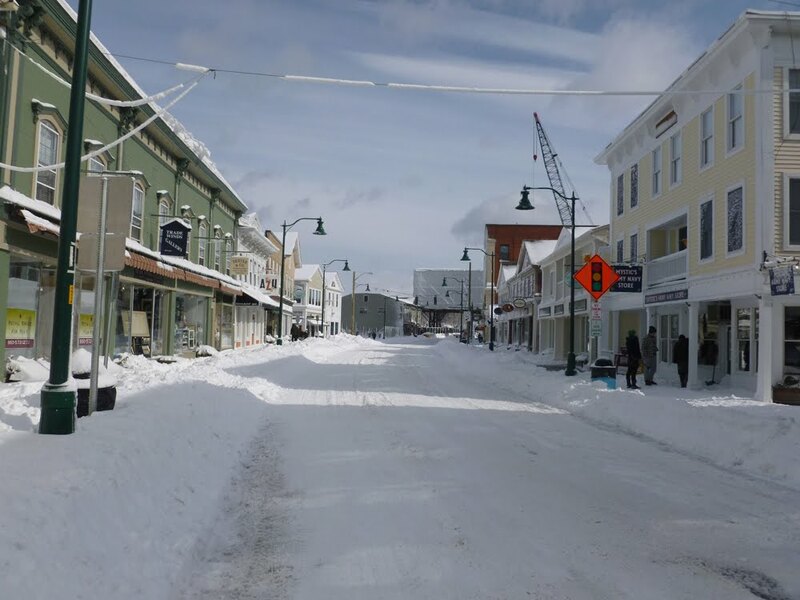 Two days ago, USRowing's website published a good article how to dress if you are out rowing or sculling in cold weather. Needless to say, if you are out sculling on your own, don't flip the boat! Read the article here. A new tv programme in Ireland starts its series with featuring the River Barrow. RTÉ, the Irish national radio and television channel, has started a new series called Abhainn (River), which is an Irish language programme (with English subtitles) exploring the country’s rivers. The series begins by examining local stories, both ancient and new, about the River Barrow. My home town Club, Carlow Rowing Club, are featured from approximately six minutes in. It is in the RTÉ Player for another 18 days. I am sure the readers of the HTBS will enjoy it.